I like puzzles but find myself trying to jam pieces into spots that don’t fit. As with life, many times I tried to jam my own life puzzle pieces into situations only to bring panic and stress. What I needed to have done first was to reach for God’s puzzle piece called Hope. 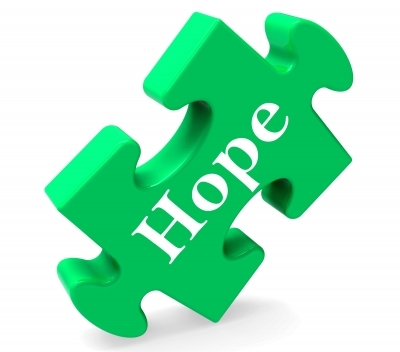 Hope is an important piece needed for our life puzzle. A new week is before us. There are appointments, responsibilities, kid’s issues, and financial stressors. I am not a math scholar yet this equation I made from the verse above can provide this puzzle piece to fit snug into our life. God, the Creator of the universe, is also the Creator of HOPE. Our radios and televisions flash stories of hatred, illness, and heartbreak. Rarely is hope voiced. Sometimes our own personal lives experience similar stories. In the margin of my Bible in 2008, I wrote the words HOPE. Life had been moving along for over 10 years raising my girls alone. I was working two jobs and I was tired of carrying the load. It was verses like Psalm 119: 81 that I clung too. “I long for you to rescue me! Your word is my only hope”. With a whirlwind spinning around me, God’s equation of His Hope added with His Joy and Peace along with my frail portion of Trust gave me Hope to keep moving ahead. The Holy Spirit was my Comforter. For a while, I was still the same single mom holding down two jobs and carrying heavy responsibilities. 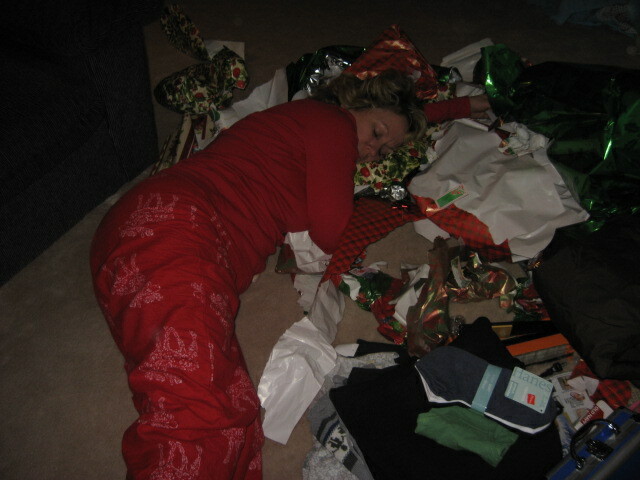 (My girls took this picture of me a number of years ago on a Christmas morning…those sneaky girls.) My part was to keep asking for help and then trust. The result: a renewed sense of Hope in every piece of my life puzzle. God never failed me. In the midst of the whirlwinds of life, we can experience God’s Hope, Joy and Peace. I knew that life would not always be as it was. It won’t be for you either. Trust God asking for His Hope, His Joy, and His Peace. Adventures happened for me, and they will for you too! OPEN YOUR TOOL BOX. See the tool called HOPE? Pick it up and get ready to build and fit it into your life! Write out the equation on a recipe card and place it someplace where you can see it and practice it. Share with God that you need help in trusting Him for Hope. Ask for God’s Joy and Peace. This entry was posted in The Tool Box and tagged I need Hope, I need Hope as a Single Mom, Linda R McCutcheon MAY I have Hope?, Single Mom Survival Success MAY I have Hope?, Single Mom's need Hope, Singlemom Survival Kit MAY I have Hope? by Linda McCutcheon. Bookmark the permalink.